Integro Technologies, a premier machine vision integrator, announced today its partnership with Coherix Inc., manufacturer of 3D, high-speed, high definition machine vision products, as an Official Integration Partner. Coherix is in the business of solving difficult 3D machine vision problems. The 3D data the Coherix products produce enables customers to assess how their manufacturing processes are performing. Customers use 3D data to improve quality, while decreasing cost and shortening time to market. Armed with high-definition 3D visualizations and detailed reports, customers prevent unscheduled downtime, eliminate scrap and increase throughput. Seeing process performance in 3D enables more profitable manufacturing and increases global competitiveness. Coherix is best recognized in the industry for its many innovative solutions including the Predator3D™, a structural adhesive and sealant dispensing bead verification, and the Robust3D™, an assembly and error-proofing verification. "Coherix provides a number of unique, inline 3D image formation techniques and solutions to difficult problems," said Shawn Campion, President and CEO of Integro Technologies. "The Coherix inline 3D technology is unparalleled in the current market. Integro Technologies is enthusiastic about the technology, and the feedback from our customers has been tremendous. We look forward to a successful partnership that provides invaluable benefits to our customers. " 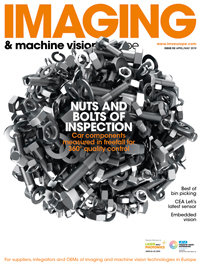 "We are very excited about forming a strategic partnership with Integro," said Dwight Carlson, CEO and Chairman of Coherix, Inc. "Combining Coherix's expertise in Robust 3D machine vision technologies, with Integro's system integration specialty, we will provide the best inline 3D error proofing solutions to help customers increase yield, improve quality, and reduce cost." The partnership with Coherix broadens Integro Technologies' vision inspection portfolio, resulting in cost-efficient, reliable, automatic vision inspection applications for their customers.